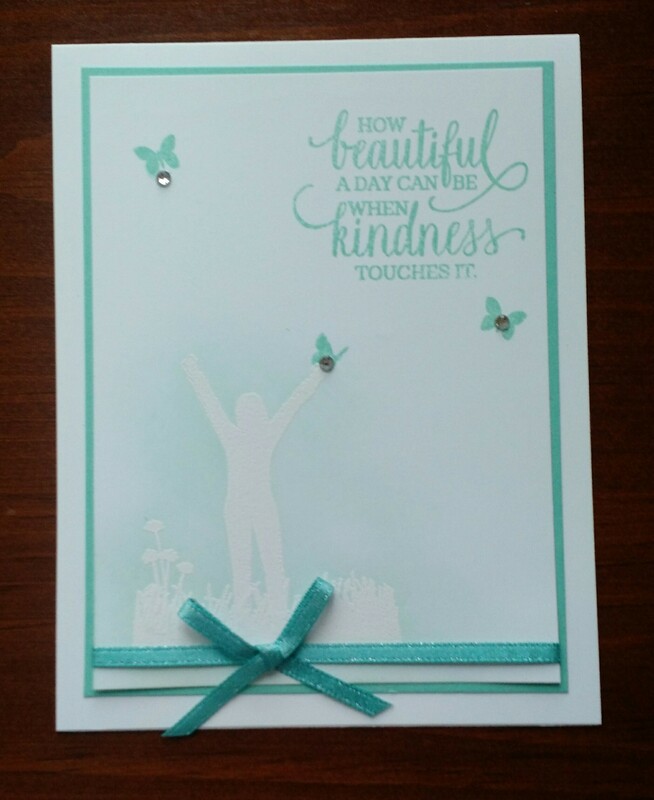 This is the new “Enjoy Life” stamp set that we used at yesterday’s stamping class. The images are heat embosssed with white embossing powder and then sponged with Coastal Cabana ink. I hope everyone is finding a little time to stamp during this busy planting season. I’m still busy with my son’s landscaping business but hope to be back to stamping in a couple of weeks!